What does it take to edit a documentary? ​Editing is the most time consuming stage of documentary film making. Editing is assembling all of the footage to create the documentary. On average it will 3-6months to turn around a project once shooting is completed. However, CFTWF does not set a firm schedule for this and reserves the right to work at its own pace. We do not rush the process as our team is working pro-bono and we are at the mercy of their schedules. As mentioned before, we do not create a script until the production is completed. This makes our job a hundred times more difficult. We think its worth it. Logging: transcribing all footage. Time frame is 2 weeks to 6 months. Translations: Double/triple translate all foreign language interviews. Time frame is 2 weeks to 6 months. Develop workflow format: Transfer footage and organize edit set up in NL digital system. Time frame is 2-3 weeks. Conceptualization of storyline: Producer and Director determine storyline based on interviews and footage acquired* . Time frame is 2 week to 4weeks. Script writing: Utilizing transcripts, producer creates base script and fact checks. Time frame is 1-3 months. First rough-cut edit: Once first pass script is produced, a rough cut is edited. Time frame is 3-4 weeks. Full Edit begins: Script, rough cut, CG/Graphics approved for full edit to begin. Time frame is 4-8 weeks. Full edit revisions/approval: Time frame 2-6 weeks. Colorization: Video color is enhanced and adjusted for final print. Time frame 2-4 week. Print: Final master produced, digital files produced and press kit prepped. Time frame 4-6 weeks. Some of these steps are done simultaneously addressed multiple times. Revisions can take weeks. Time frame could be longer if organization participation is required. We are not responsible for delays. It happens. We do everything we can to expedite, but will not rush if it risks reduced quality of the final project. *It is unethical for an organization to contribute to the editorial content and direction of the film. Our films are unbiased and neutral. Some organizations may feel they must have editorial control of the documentary. We understand the need to control the brand and image, however, we insist on a "hands-off" approach by the profile organization during editing of the documentary. This is why our formula works. You have trusted us to capture the story, now let us put it together the way we best know how. Obviously, we want to make sure the organization's story is captured effectively and accurately. Mission keepers will get a chance to address inaccuracies, if any. There will be times when we need input on aspects of the documentary for accuracy, cultural sensitivity, translations and the like. The time required is minimal and involves no more than reading a script sent electronically via email and or clicking on a quick time movie file of the rough cut through our private password protected video website. **Before final edit can begin, we will request what is a called an approved “CG list”. Everyone who participated in the production of the project will complete a form to indicate how they want to be identified on screen. Sounds easy enough, but is not. Spelling, punctuation, titles and acronyms must be accurate. Producing CGs and graphics is very time consuming, labor intensive and expensive. We will be creating the CG exactly as submitted and will not make changes to them once they are ingested into our system. ***Final edit approval is the completed documentary presented to your organization in, which minor changes (for accuracy) can be made. These changes are not editorial. *Digital files will not be released to your organization until licensing agreement is signed and received by CFTWF. **CFTWF will provide the following format of digital files to your organization. For a fee, we can produce a DCP digital files and copy for you. You will need to tell us PRIOR to the beginning of production that you want this provided. *** The digital press kit will include elements to upload to your website, social media, to print for your events and to distribute to media. We do not manage social media for the film, no do we create or send out press releases on your behalf. You will have our press releases to use as a template and will need to coordinate with CFTWF PR team for only the premiere. If possible we will create a movie poster but it is not guaranteed. 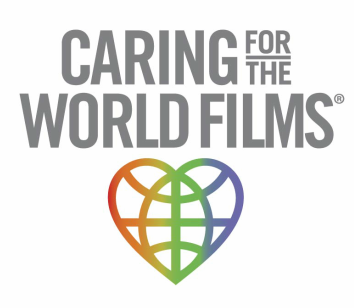 ****CFTWF requires the profile organization to host and organize a world premiere fundraising screening of the documentary at their own cost. The crew, producer and director will make every effort to attend the event and comp tickets must be provided to press and our crew. It does not need to be a fancy red carpet affair, but must be a major fundraising event for your organization. We strongly suggest this event planning to begin as soon as you sign the LOC and we urge your organization to have underwriters to cover the cost of the event. The event's purpose is for fundraising and to expect ticket sales to cover the cost takes money away from the organization. We suggest having the event in a theatrical venue instead of a conference space. (avoid the standard rubber chicken fundraiser). Most theaters will reduce the cost of rental for non profits. Consider a premiere screening at the United Nations theater. This process will take months to approve, which is why you should begin the planning process as soon as you sign the LOC. The screening can be any time of day.